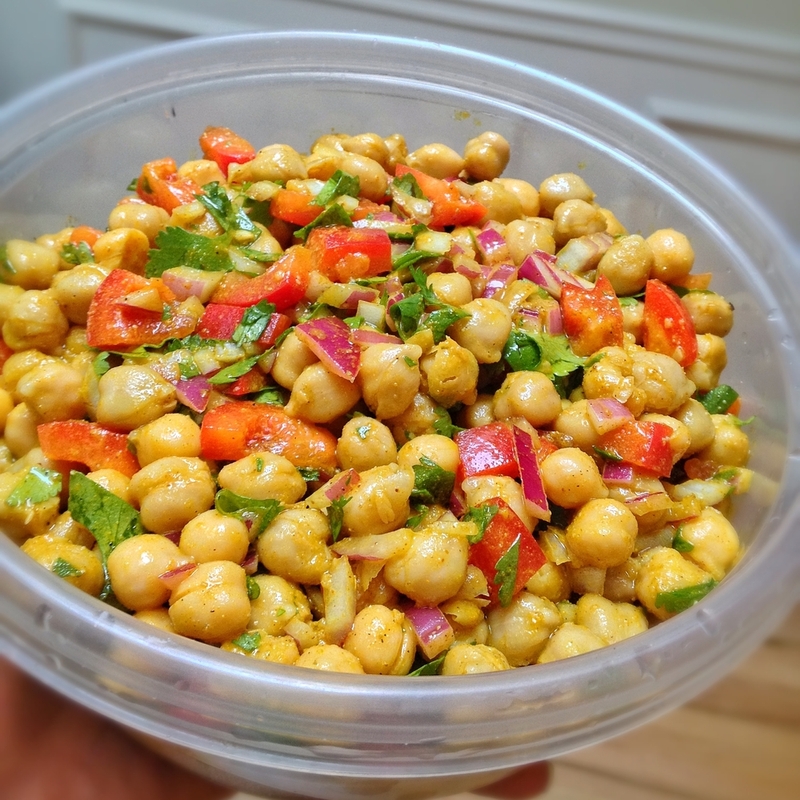 What an awesome way to add tangy flavor to chickpeas (garbanzo beans). We love to heap this on top of fresh greens as a way to spice up our daily raw salads. Very easy to make - no cooking required and it stays fresh if refrigerated. Tastes even better the next day! In a large bowl, whisk together all of the ingredients through turmeric. Add raisins, chickpeas, bell pepper, onion and cilantro. Toss and serve over a bed of greens or as a hearty side dish.